Fire Note Says: Everyday Robots tries to make sense of the fragility of human emotion in relation to technology. 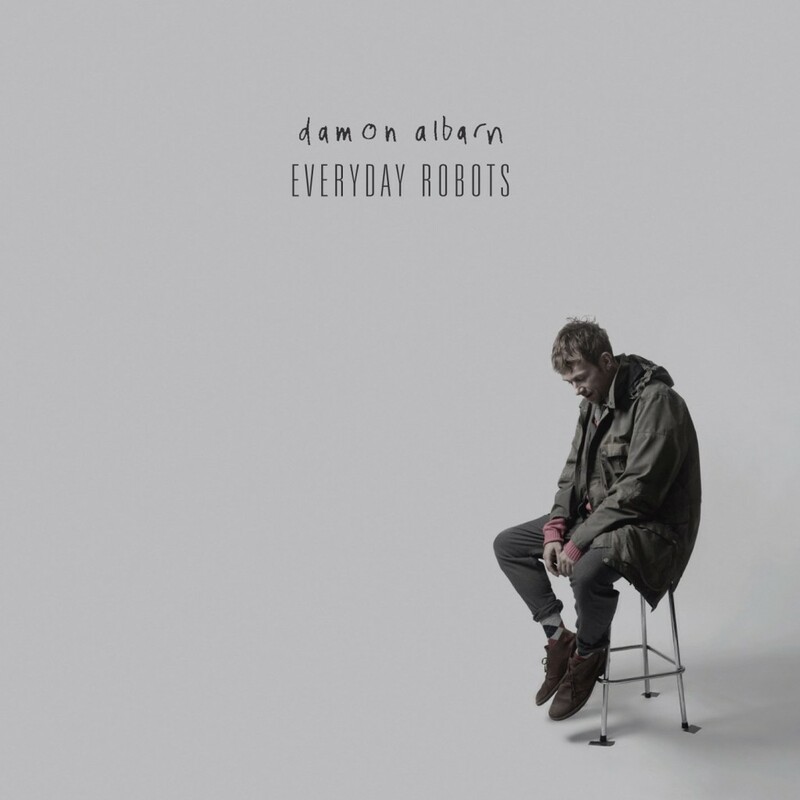 Album Review: Everyday Robots is the first official solo record from Damon Albarn, better known as singer for Blur and Gorillaz. You probably know that already, but what you might not know is that Albarn has also collaborated with the likes of Bobby Womack on his excellent album The Bravest Man in the Universe. I mention this because sonically, Everyday Robots has much in common with that Womack record, as well as some similarities with Albarn’s work in Gorillaz, particularly that group’s album The Fall. Anyone expecting the thrilling Britpop of Blur, should adjust those expectations a bit. This is a somber, meditative album, often built on loops and beats, and features Albarn’s unique take on modern life and our relationship with technology and how it is impacting how we as humans relate to one another. Deep stuff to be sure, there is no “Song 2” here, no “Girls and Boys”, what you are going to find is a mature, experimental pop record, that is more than a little depressing, but in a comforting way. The title track, “Everyday Robots” sets the tone right off the bat, the pace is slow, and suits Albarn’s voice perfectly. He really draws out the melody on this one, he’s a better singer on the slower stuff, he always has been, and it lets him show off the natural sad tone to his voice, which fits the song perfectly. 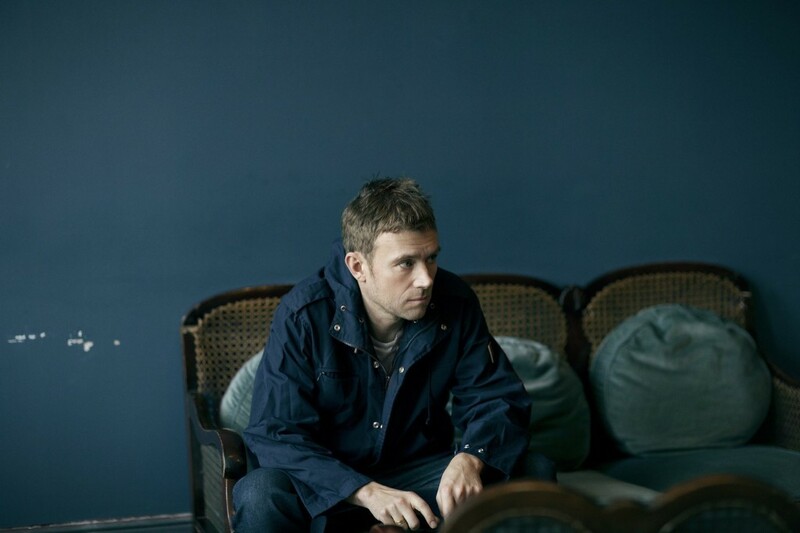 “Hostiles” continues in a similar mold, it is electronic based, with spare instrumentation, but Albarn is able to use the economy of the music to his benefit. As he slowly constructs the song, little things like added background vocals make a huge difference in the sound and make the song sound bigger than it actually is. “Lonely Press Play” sums up the theme of the album perfectly. We live in a world of instant gratification and we have whatever we want at our fingertips at any given moment. However, it’s an artificial thing, a substitute for real interaction. Instead of seeking out companionship, we can simply push play on our phones or tablets, and we are instantly transported to someplace else. Technology provides us with limitless options, but also robs us of our most basic need for authentic human interaction at the same time, it’s merely a substitute. 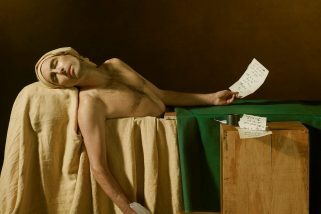 “Mr Tembo” provides the only real up-tempo song on the album, and it’s no surprise that it is one of the highlights of the album. Built on a slight African guitar line, it’s a happy uplifting song that I find myself humming quite a bit. I wish there were a few more songs like this on the album! Everyday Robots is a remarkable album that gets better the more you listen to it. It’s slow and mournful, but it isn’t depressing at all, it’s a comforting type of melancholia, sort of like The Soft Bulletin, or even Pet Sounds. Sure, it could use another upbeat song or two to liven up the pacing a little bit, but overall it’s pretty damn good the way it is!